When you speak in tongues this is something that you never see Christ or the disciples do. It mostly happens during prayer or during Music and they teach that if you cannot do this then you lack the understanding. The day of Pentecost is First Fruits where we all gathered in one place. This is the scripture they use to try and say that this is speaking in tongues but we will see exactly what it is talking about. So you can see that the tongues are languages because there were Jews from different parts of the world that spoke different languages. In order for these same Jews to take what they have just learnt to their respective lands, the disciples would have to speak in their language. They were not speaking languages that no one understood. So you can see that these were actual languages in the earth. If you are speaking another language then you need to have an interpreter there, if not then you are dealing with the God of Bacchus. This is what they will say that they are not speaking to men, they are speaking to the Most High. Paul said you are speaking mysteries if no man can understand you? But if you are going to do so out of the scriptures its for edification, which is understanding as they learn. It brings comfort because you are receiving the truth from being able to understand but how can this be so if they do not know what your saying? If you do speak in an unknown tongue then you are edifying yourself but those that prophesieth edifieth the church. Because you are delivering the message. So if you have one person that is doing it, imagine if its 30 or 40 who will know what is being said? Paul said he wished we all spake with tongues because the more languages you know is the more you can communicate with people. The greatest gift is not to be able to speak with tongues but to be able to make people understand. Which is greater then the gift of tongues. 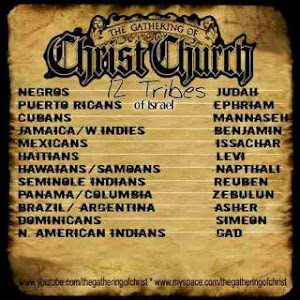 This is where that is not profitable to the church because that is the main body the Most High is speaking to. How would it profit you if I was speaking Spanish right now in a room full of people that speak English? How would you know if its a Pipe or Harp if something is coming out but no one understands what distinct sound it is? It is about edification not to sound like someone is more spiritual then another. If the spirit is talking through you and trying to tell the people to prepare? If no one understands how can you prepare for war? The scriptures tell you that you cannot do this in the Church unless someone knows what language it is that you are speaking? If no one knows what it is that you are speaking then it is better that you keep silent in the Church. Paul brought that out because the Most High is not the author of confusion in the Church. If it is not clear cut and easy to be understood it is confusion. The main people responsible for this was women because that is who it was aimed at.